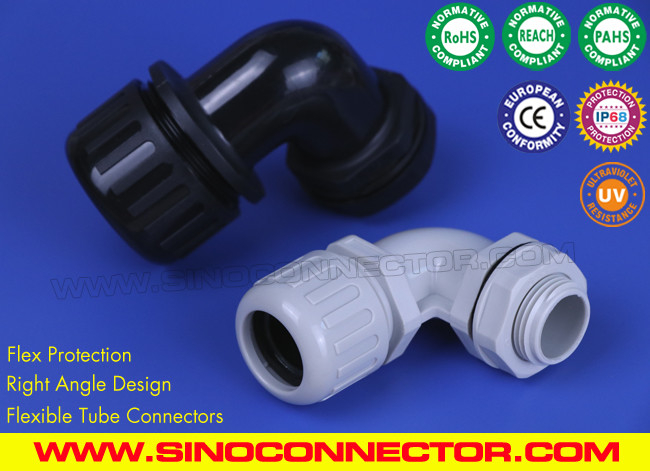 When the conduits should be routed in parallel to the housing wall, this Elbow Fitting is an ideal connector to avoid the conduits bending to a sharp angle. 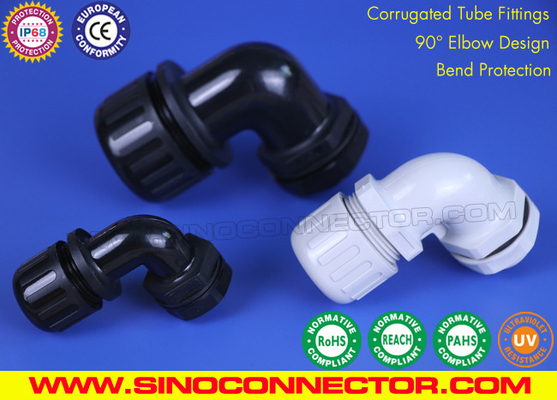 With special inner designs, 90° Elbow IP68 Waterproof Quick Connectors (Fittings) for Corrugated Tubes provide strong pull-out strength and anti-vibration functions. 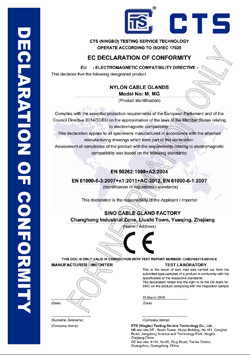 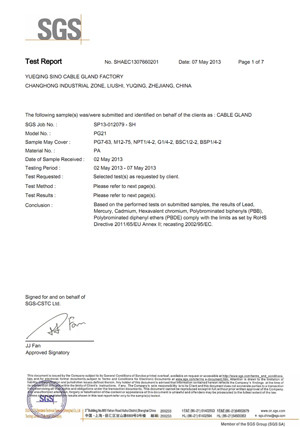 They have been proven good performances in oil and rust-proof over the years, to offer the best cost & performance effcient for the cable protection systems.The products are widely used to resist water impact or immersion as a tough cable protection system for any machines, devices and equipments.